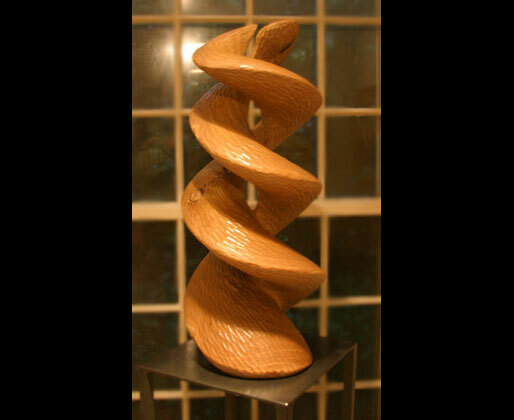 The whirling spiral “Vortex” truly influences all that it comes in contact with. 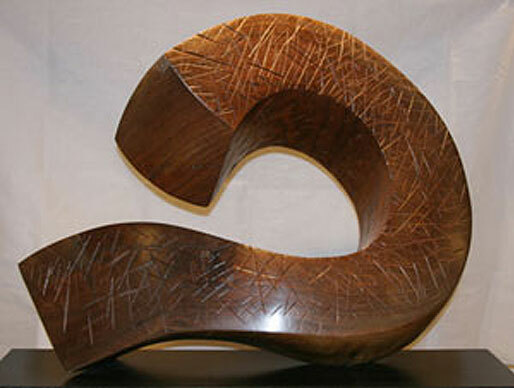 Carved from beautiful, exotic wood, Evans seems to articulate the negative space around the wood as much as the curving lines of the vortex itself. 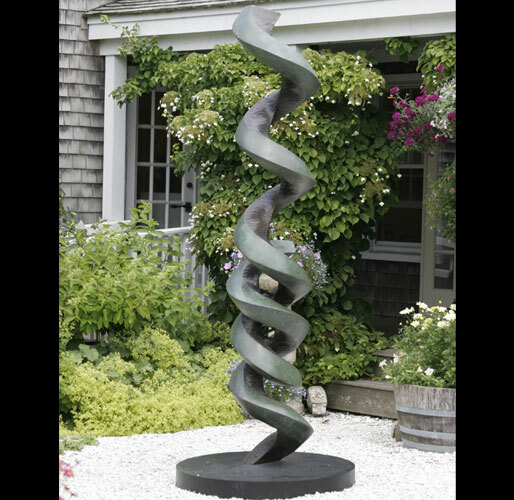 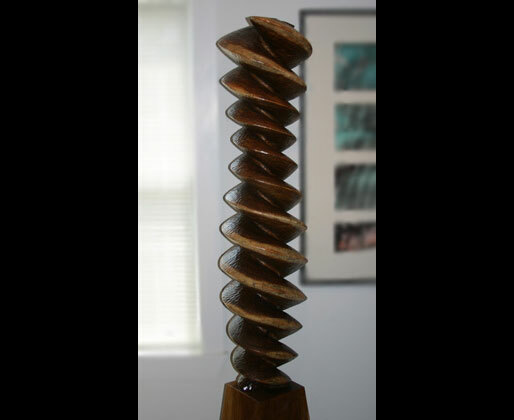 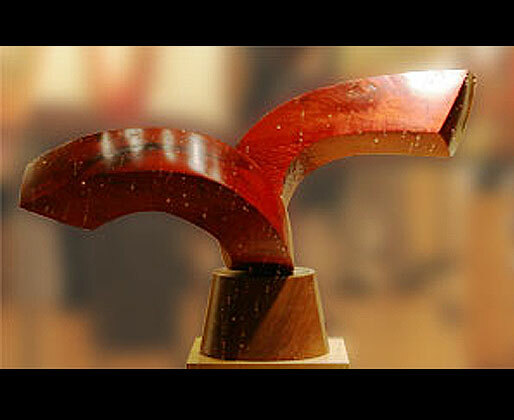 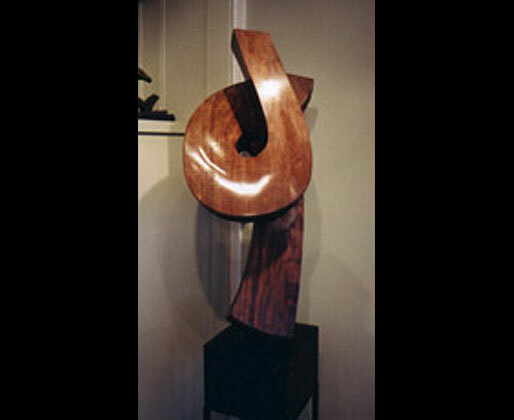 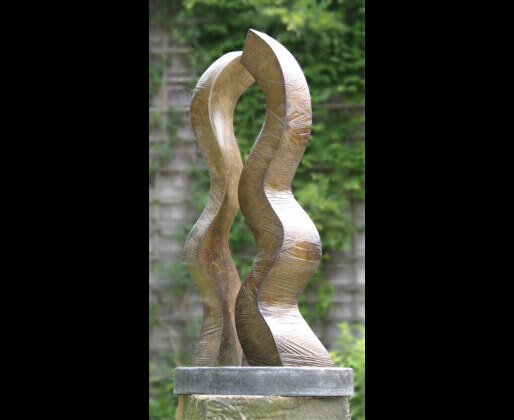 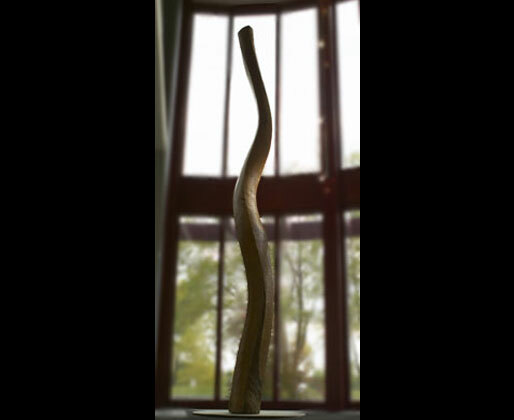 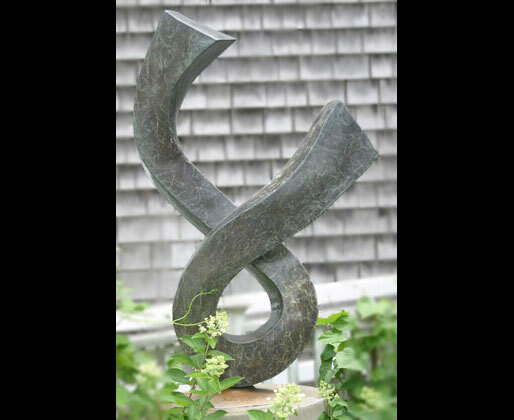 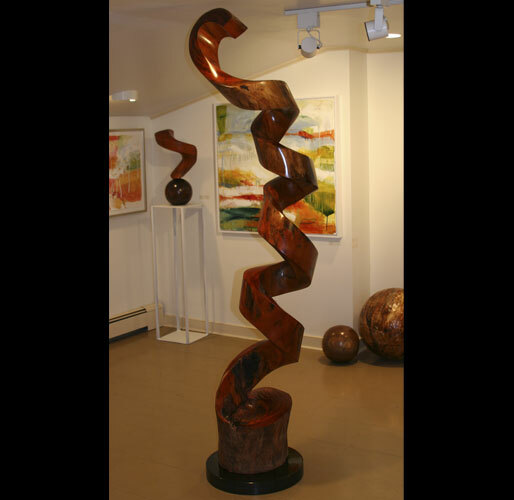 Gracefully melding the sturdiness of carved wood with the motion of the spiral, Evans’ work draws the viewer’s interest just as a vortex pulls everything near it closer to its core.